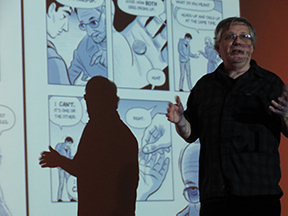 Nearly 200 fans clamored on a cold day to hear comics genius Scott McCloud in conversation with Rain Taxi editor Eric Lorberer as they discussed McCloud's new 500 page graphic novel, The Sculptor. 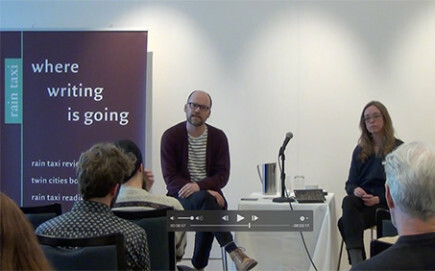 A three-day extravaganza of panels, book fair, and off site events kept everyone busy. 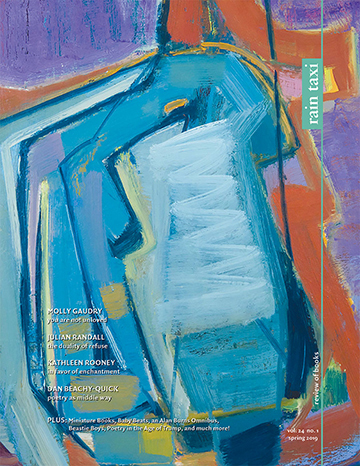 Click here to see some highlights from Rain Taxi's busy time at AWP! The spare and stunning poetry of these Swedish poets entranced the elegant room at ASI. They then discussed the history and trends of Swedish poetry, touching on maximalism and surrealism and the looming anxiety of influence of Tranströmer. Mad cap fun was had by all as scenes from Michael Friedman's Martian Dawn and Other Novels were performed at the Walker Art Center for the 2015 Northern Spark Arts Festival. Performers included: William Gamble, Dylan Hicks, Anne Labovitz, and Mo Perry. Rain Taxi editor Eric Lorberer interviewed acclaimed comics creators Charles Burns, who discussed the arc of his career and his newest work, and revealing his punk rock proclivities. 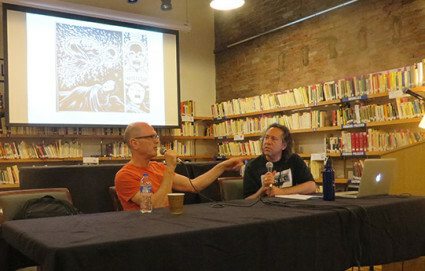 Charles Burns appeared at the Autoptic Festival, a two-day celebration of indie culture and comics. Rain Taxi offered some unusual literary fun all day in the Carousel Park for the MELSA-sponsored Read and Ride day at the State Fair. John Colburn began the day with Good Morning poems, guiding people through the process of writing a poem. Kevin Carollo initiated people into the world of Animal Lit, cutting out cardboard animals and releasing their inner roar, bark, hoot. Paula Cisewski offered Tarot readings that culminated in a personal made-to-order-by-the-cards poem. 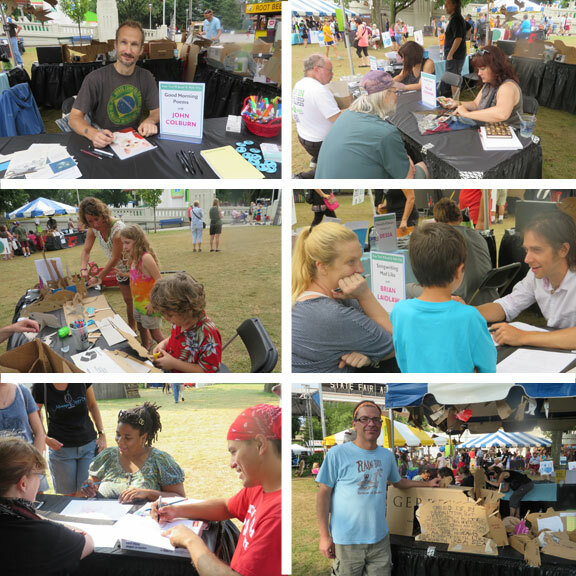 Dessa met with fairgoers and signed her chapbook A Pound of Steam. Brian Laidlaw offered Songwriting Mad Libs, creating lyrics for a one-of-a-kind tune. And Ursula Murray Husted enticed with a Collaborative Comics project. In this unique in-gallery program, poet Douglas Kearney, musicians Davu Seru and Pat O’Keefe, and dancer Deja Stowers responded to the paintings of Jack Whitten through dance, music, and poetry. Laila Lalami kicked off Opening Night of this year’s festival with a special reading. 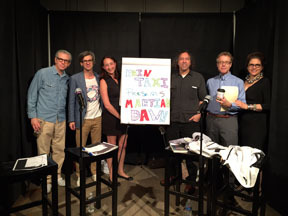 The following one-day celebration of the written-word included special guests Jabari Asim, Christian Bök, Matt Burgess, Christopher Cardozo, Susan Cheever, Lin Enger, Allen Eskens, Lauren Fox, Sheyna Galyan, Brian Henry, Jennifer L. Knox, and Amy Klobuchar. Click here for more highlights! 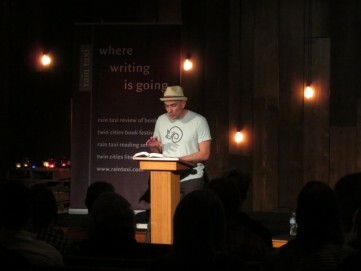 Cult favorite Danielewski read to a rapt crowd from his second volume of The Familiar series, Into The Forest, and later took questions from the audience. This event helped kick off a celebration of Rain Taxi's 20th Anniversary with a cookie reception and music performed by The Starfolk. 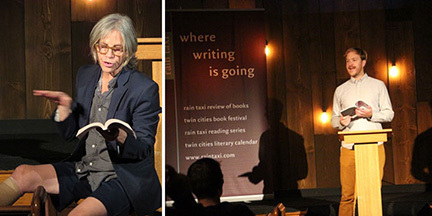 Despite suffering an injury, Eileen Myles soldiered on with a spectacular reading from her new collection, I Must Be Living Twice, among other works, to die-hard fans in the late evening. 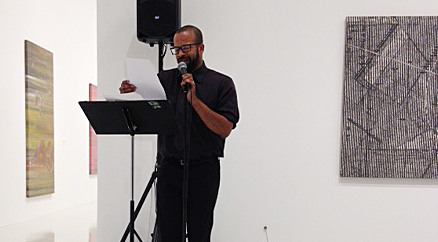 Local poet Chris Martin kicked off the event with a great reading from his new book, The Falling Down Dance. The event continued Rain Taxi's 20th Anniversary celebration with a cookie reception and music performed by Old Moon. A packed room of 400 people greeted beloved author George Saunders as he read from a new release of his 2000 book The Very Persistent Gappers of Frip as well as a short story from his collection The Tenth of December. 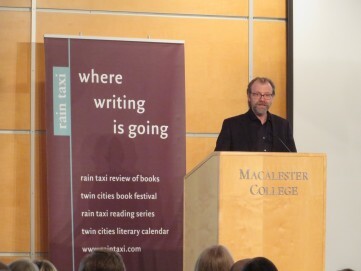 This event culminated Rain Taxi's celebration of twenty years of championing the best of literature!